I tried to knock the ice off with no success, so I decided that the less I impacted the trees, the less damage to the cell structure and the better the chance they had to revive. It turned out to be the right decision; once the rain and warm temps returned, they slowly rose up again with little apparent damage. Hopefully, they will thrive once spring arrives. You must have been scared! 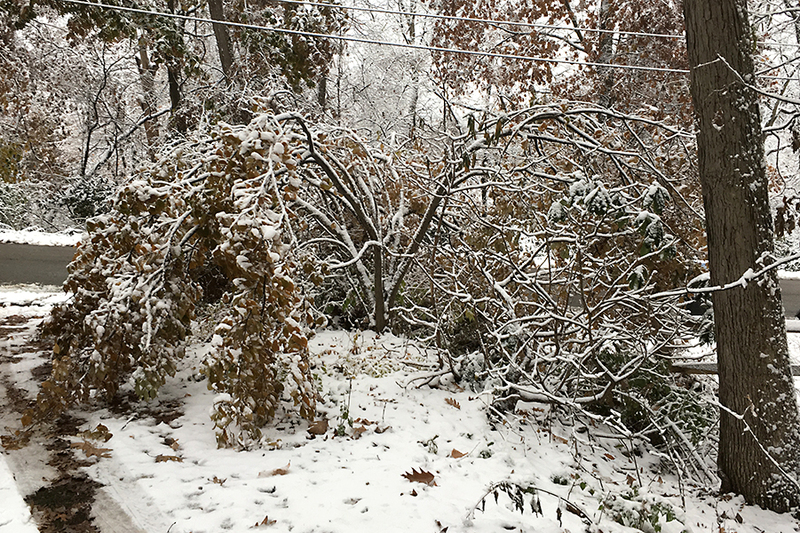 This was one serious storm, but then, that’s what happens, and we’re likley to see more severe storms, so it’s great that the Cornus trees bounced back.